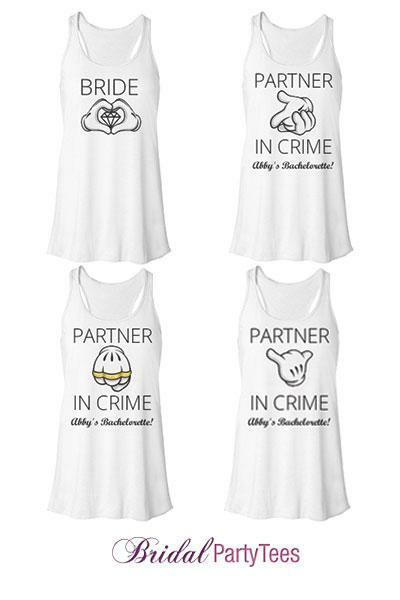 Customize cute "partner in crime" tanks for the bride and all the girls at the bachelorette party. 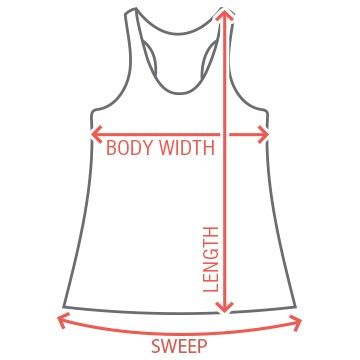 Add their names on the back. 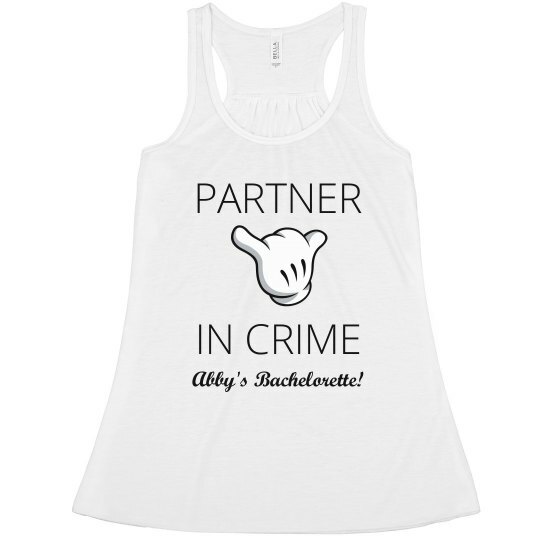 Custom Text: PARTNER | IN CRIME | Abby's Bachelorette!